THE FINAL CHAPTERS: TIMELY ELF! I find myself a little sad tonight----ONLY ONE MORE DAY----I have SO loved the Elf/Elves coming! I haven't had this much fun at Christmas in a LONG LONG TIME! SO--I may and may not know the identity of my Secret Elf/Elves---BUT they have made my Christmas brighter & happier---I am BLESSED and grateful! Today when I got home from 2 JOBS---my package was by the front door. It's the first thing I look for when I come home! 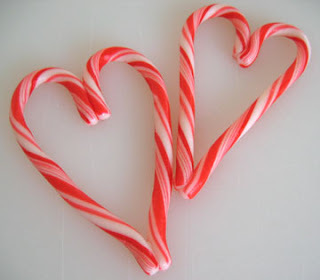 But by giving you Eleven candy canes, we felt we could not lose." AWWWW!! !----It's the little things that mean SO much!